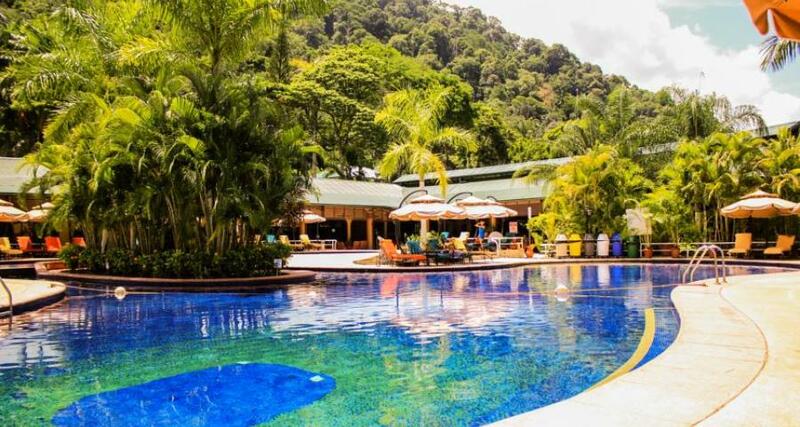 Hotel Casa Roland Golfito Resort is a 3.5* hotel located in Golfito, Costa Rica. It features 51 rooms and swimming pools. Hotel Casa Roland Golfito Resort is a property located away from the busy city and the noise of the streets, surrounded by natural attractions and beautiful views as it's located 550 yards from Golfito Bay and half a mile from Piedras Blancas National Park. In this hotel you'll be able to relax in an outdoor swimming pool and spend enjoyable moments on the restaurants or work out at the fitness center. This Golfito hotel features Wi-Fi, air-conditioned guestrooms and a sauna. Hotel Casa Roland Golfito Resort also offers excellent services and facilities for business meetings or social gatherings.